I was delighted and surprised to get an email waiting for me after I finished teaching at The Tin Thimble yesterday. 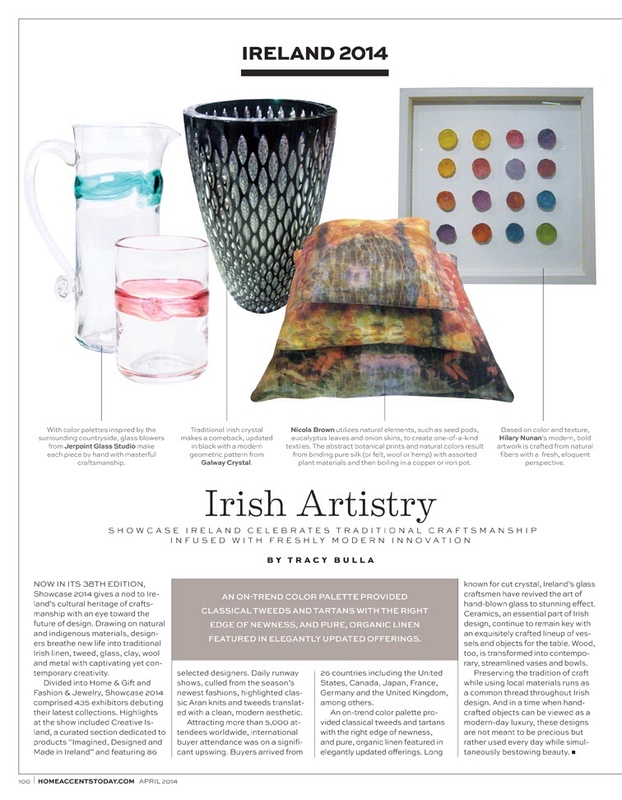 Tracy Bulla, style director for Progressive Business Media has included my naturally printed silk cushions in an article about Showcase 2014 in the April edition of US publication Home Accents Today!!! Here it is, in fact the whole magazine may be reviewed online, a really neat facility and a great way of seeing what current American trends are in the interiors sector! Thanks Tracy. Next post I'll have a Loomis update complete with pictures of the fabulous bags when they're finished. 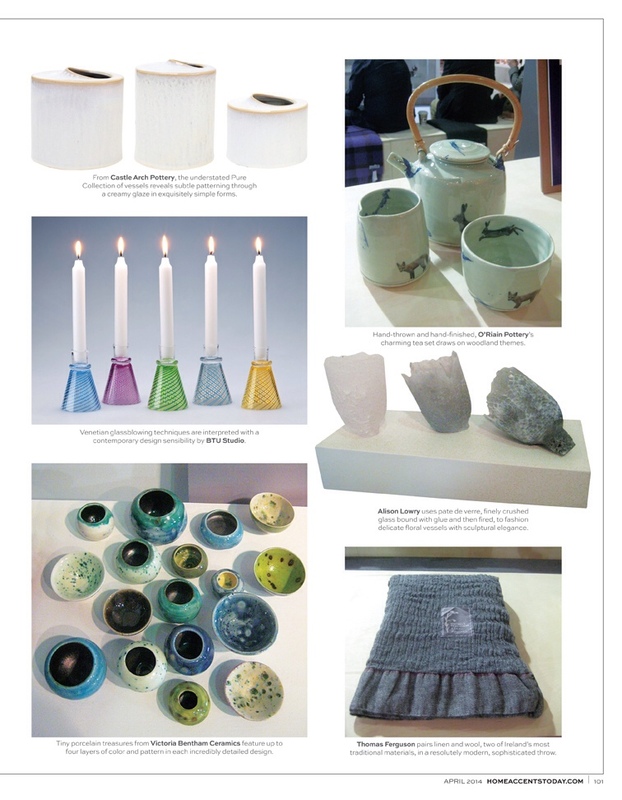 This entry was posted in America 2014, Press, Showcase 2014 and tagged Home Accents Today by Nicola. Bookmark the permalink. Congratulations Nicola, thrilled for you. I am so happy for you Nicola….And, so happy that you are going to be here tomorrow evening, too.